Joshua from Tanzania raised $1,238 to fund brain surgery. Joshua's treatment was fully funded on October 4, 2018. Joshua did not receive treatment as expected. Joshua’s surgery was postponed, and his parents decided not to bring him back for treatment. Joshua is a baby from Tanzania. He is the youngest in a family of three kids. Unfortunately, Joshua’s father died when his mother was seven months pregnant with him. His mother has no savings and works as a farmer to support her children. Joshua has been diagnosed with hydrocephalus, a condition in which excess cerebrospinal fluid accumulates in the brain and increases intracranial pressure. As a result of his condition, Joshua has been experiencing vomiting and regular fevers. Without treatment, Joshua will experience severe physical and developmental delays. Our medical partner, African Mission Healthcare Foundation, is requesting $1,238 to cover the cost of surgery for Joshua that will treat his hydrocephalus. The procedure is scheduled to take place on August 17 and will drain the excess fluid from Joshua’s brain. This will reduce intracranial pressure and greatly improve his quality of life. With proper treatment, Joshua will hopefully develop into a strong, healthy young boy. Joshua's case was submitted by Joan Kadagaya at African Mission Healthcare Foundation in Tanzania. 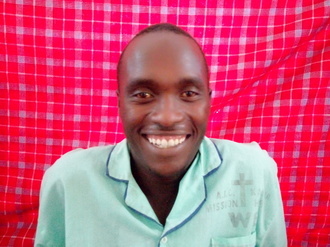 Joshua was submitted by Joan Kadagaya, Curative Medical Support Program-Partner Representative at African Mission Healthcare Foundation, our medical partner in Tanzania. Joshua's profile was published to start raising funds. Joshua was scheduled to receive treatment at Arusha Lutheran Medical Centre (ALMC). Medical partners often provide care to patients accepted by Watsi before those patients are fully funded, operating under the guarantee that the cost of care will be paid for by donors. Joshua is no longer raising funds. Joshua's treatment did not happen. Read the update. Nathan is a motorcycle taxi operator from Kenya. One week ago, he fell off a machine and sustained severe injuries to his lower leg. He is not able to walk and is in pain. Fortunately, surgeons at our medical partner can help. On February 5, Nathan will undergo a fracture repair procedure, called an open reduction and internal fixation. This procedure will help him walk easily again. Now, our medical partner, African Mission Healthcare Foundation, is requesting $968 to fund this procedure. Nathan says, “I am worried about my family and the obstacles they might face now that I will not be able to walk in a couple of months while I recover."